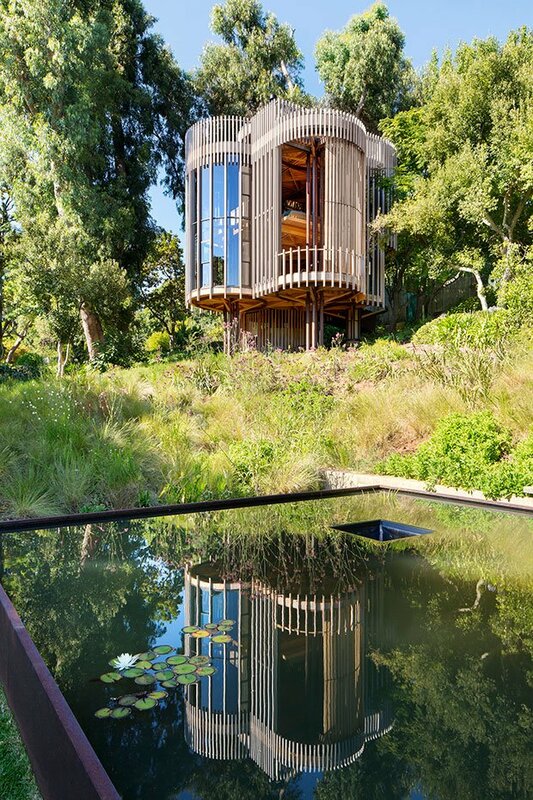 Have you ever imagined an ideal tree house? If you have, this one could probably be pretty close to that. 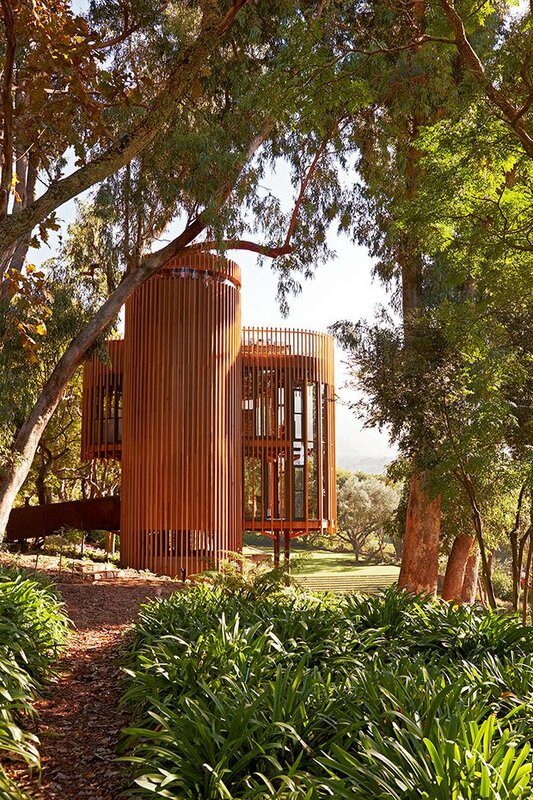 This beautiful piece has a lot of great qualities, but it wouldn’t be so good without all the green space spreading around it. It is really important to keep a house, cabin, or whatever you’re building, true to its’ surroundings. This hideaway stayed loyal to that rule, and made itself a sensation by it. 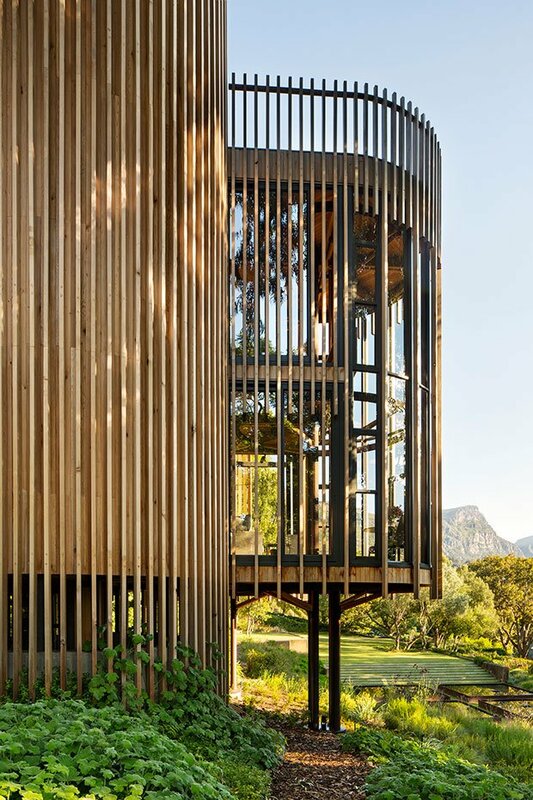 The structure is located in Cape Town, South Africa. 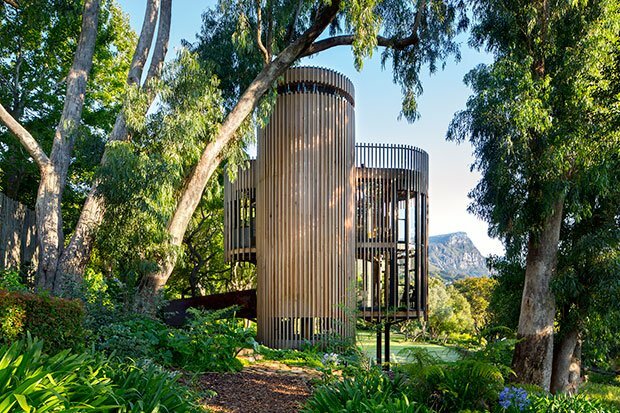 It’s surrounded by forest-like gardens, which must come with a beautiful nature’s morning alarm. The view appears to have been well thought out too. What helps a lot here, when it comes to feeling one with the outside, is the round geometrical shape of the structure. There are lots of windows on all sides, and not too much is blocked out of sight. 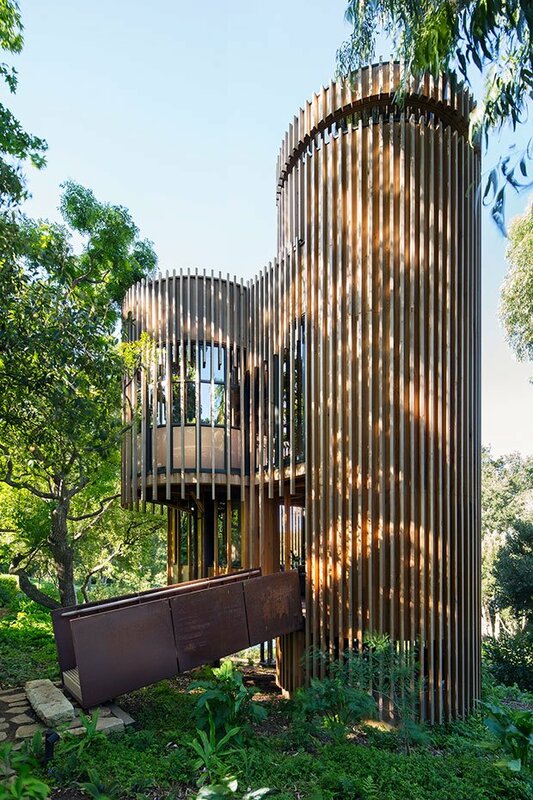 The building becomes a vertically arranged “clearing in the forest”, with living space on level one, a bedroom on level two and a roof deck on the third. A plant room is located at ground level below the building. 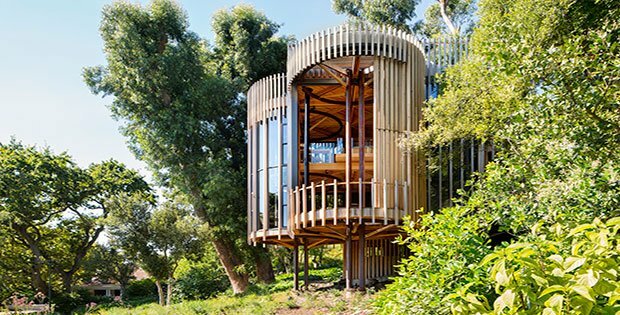 The half round bays accommodate a patio, dining alcove and stair on the living level, a bathroom on the bedroom level and a built-in seat on the roof deck level – the pure geometries provide articulation to the spaces. Cedar and timber as materials make up a pretty good sight here, while steel does most of the hard work. It’s important to mention that all of the materials were left untreated. They will, of course, age with time which gives this piece a daring magical touch. ….TO SEE INTERIOR PHOTOS AND MORE, CONTINUE TO PAGE 2…. It’s a Long Way from a Garage to a Vintage Styled Guest Cottage!